The National Presto 05461 Stainless Steel Deep Fryer is a professional deep fryer that is ideal for home use. The fryer comes with an 1800 watt immersion element that ensures the fryer effectively performs its functions. It is creatively designed to prepare just then right amount of food for average sized families. Additionally, the National Presto 05461 is open to variety of tasks. 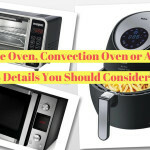 It be used to steam and boil foods, thus allowing you try out more recipes. 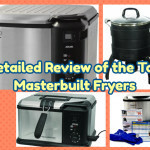 It is constructed from stainless steel material that makes it last longer than ordinary fryers and easy to clean. The main selling attributes of the fryer is its features and specifications. 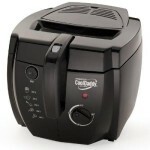 National Presto 05461 Deep Fryer is compact which makes it easy to store in any home kitchen without troubles. However, the design complements the small size with an oblong shape. 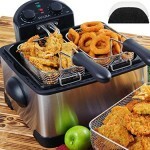 The shape allows the fryer to accommodate much more foods than an ordinary fryer of its size. Foods such as fish, chicken, and potatoes can fit in full whole without need to cut into smaller pieces. This feature is handy as users will not have to compromise on frying capacity in favour of kitchen space or vice versa. The fryer has an adjustable thermostat that allows users fry under different controlled temperatures. The temperature control system allows the fryer to maintain specific frying temperatures that match specific foods. With the control system, different foods can be professionally fried within the correct temperatures to achieve the desired results. 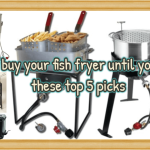 You simply just have to select from a variety of frying temperatures and let the fryer do its job. 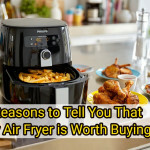 With this feature, the fryer makes frying easy for everyone and anyone. The fryer has a signaling light that lets you know when the oil is at the correct temperature for frying. Telling when the oil is ready is a challenge for many people. The process of frying requires precise understanding of the oil temperature and therefore the fryer makes it easy because it solves the problem of second guessing when to put in the food. This way, the food can be put in the oil at the very precise moment that it should. A common challenge across fryers is cleaning. If you have used a fryer before, then you will realize that the cleaning process is difficult especially with the different part that make up the fryer. However, the National Presto 05461 Deep Fryer’s element and enameled pot can be removed. The removable heating element and enameled pot enables the system to expand the level of access to areas that need cleaning. Proper and effective cleaning is possible once these parts are removed. When using the fryer, you are assured that your working area will remain clean and safe. The fryer has a cover that prevents oil spillage while cooking. The cover acts as a splatter shield when you are lowering the food into the frying oil. This feature also acts as an hygienic enhancing feature as well as a safety feature. It prevents the user from burning from the splatter oil as well as the surface from spillage. Additionally, the cover is fitted with an odor filter to control food smells so that your home is not left smelling like a fast food restaurant. Smallest fryers. 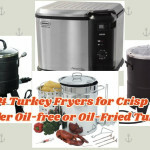 The fryer is small making it ideal for home use. 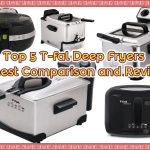 It also happens to be one of the smallest fryers in the market with exceptional performance. 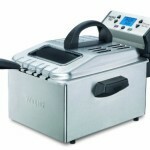 The compact size of the fryer makes it easy to store and it does not crowd the working area. Multiple functions. The National Presto 05461 Stainless Steel Fryer has multiple functions. Other than frying, the National Presto can also be used to steam and boil foods. 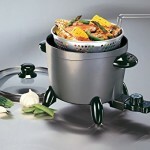 It has a fry/steam basket that can also be used to prepare vegetables and sea foods. High efficiency. The fryer heats up the oil fast. The quick preheating and fast oil temperature recovery system makes the fryer economical by conserving energy. The National Presto 05461 is small in size, therefore it limits the amount of food that can be fried at a go. The lid of the fryer does not have a viewing window. This makes it impossible for the user to monitor the progress of the frying with the lid on. The fryer is restricted to only one basket. The National Presto 05461 Stainless Steel Deep Fryer is highly rated by its consumers. 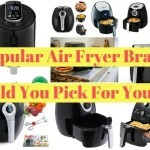 Most of the consumers appreciate the functionality of the fryer as well as its durability. 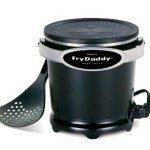 The fryer meets its intended purpose and delivers the right quality of food, brown, crispy, and soft on the inside. It is also easy to use and clean. These attributes are some of the liked features of the fryer. There have been a few suggestions on what could be improved on the fryer, but so far there has been no major issue of concern. 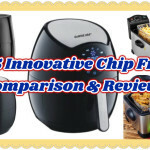 Buyers still find the fryer commendable and would recommend it to other people looking for a simple, efficient and convenient frying solution. 1. What is the capacity of the fryer? The fryer can accommodate 8-big cups of food in family size batches, about 2 liters. 2. What’s the highest temperature? How fast does it reach? The max temperature is 375 degrees. About 3 minutes can reach 375 degrees. 3. Is the lid of the fryer dishwasher safe? 4. 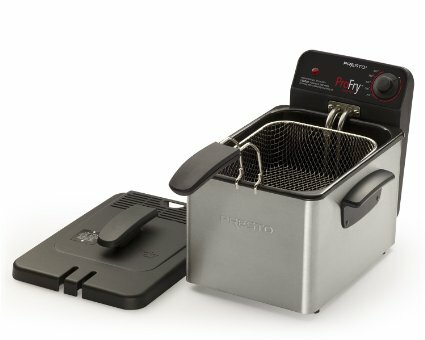 Is this fryer small enough for just two people? Yes, it’s perfect for just two people. 5. How many chicken legs can you fry at once? Depends on the size of legs, just no more than 6 at a time. The National Presto 05461 Fryer was designed for the conscious buyer. It has special features that are unique to the brand and is not only multifunctional but also easy to use, clean and store. If you need a fryer for your home that will serve you perfectly, the National Presto 05461 is the right brand that will not disappoint you. Besides having a few drawbacks, its advantages are more which is something consumers can be glad about.